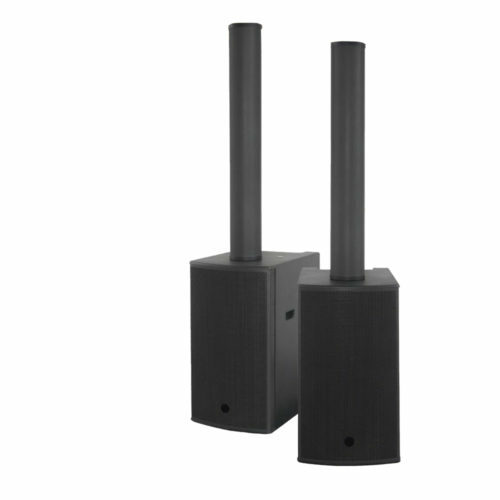 AXV-62.15 is a line array design PA system featuring a 15’’ powered subwoofer and a passive column made of three boxes overlaid in one single array. The top and middle satellites are equipped with 3.5’’ drivers and can rotate 180° left and right in order to change the horizontal dispersion. 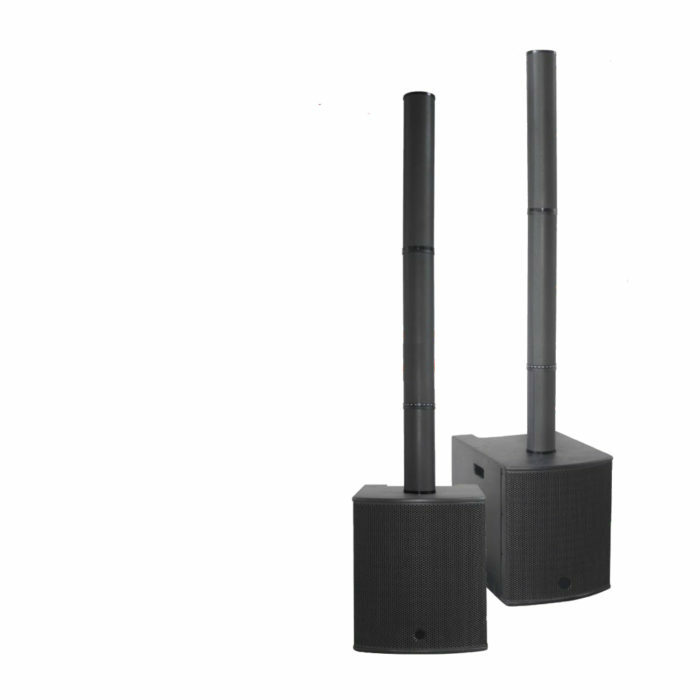 AXV-62.15 is a line array design PA system consisting on a 15’’ powered subwoofer and a passive column made of three boxes overlaid in one single array. 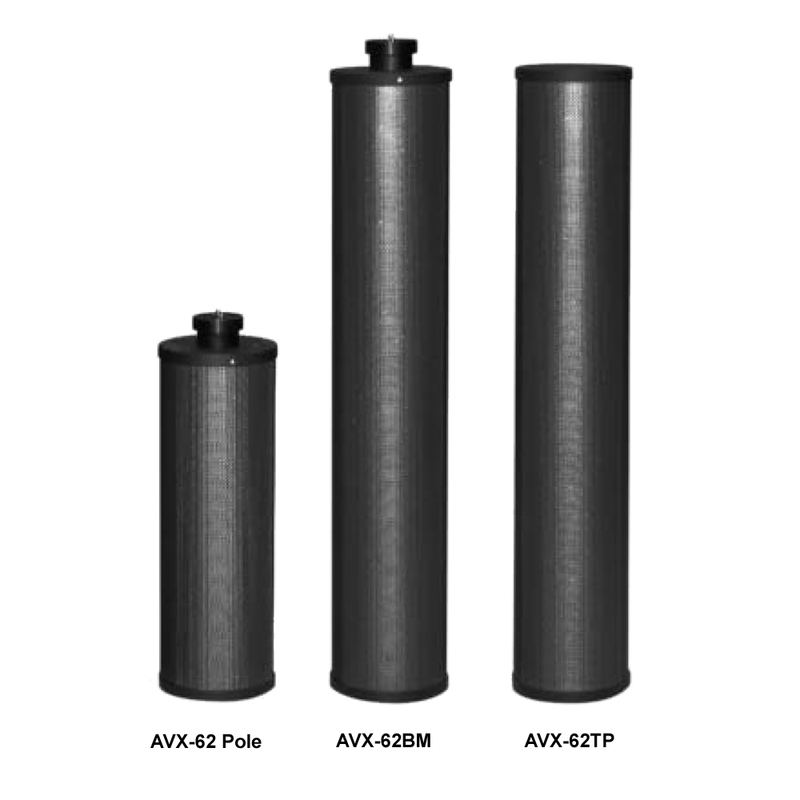 The top and middle satellites AXV-62TP / AXV-62BM are equipped with 3.5’’ drivers and can rotate 180° left and right in order to change the horizontal dispersion. The bottom part of the column AXV-62 Pole is used as a pole mount for the two upper satellites. 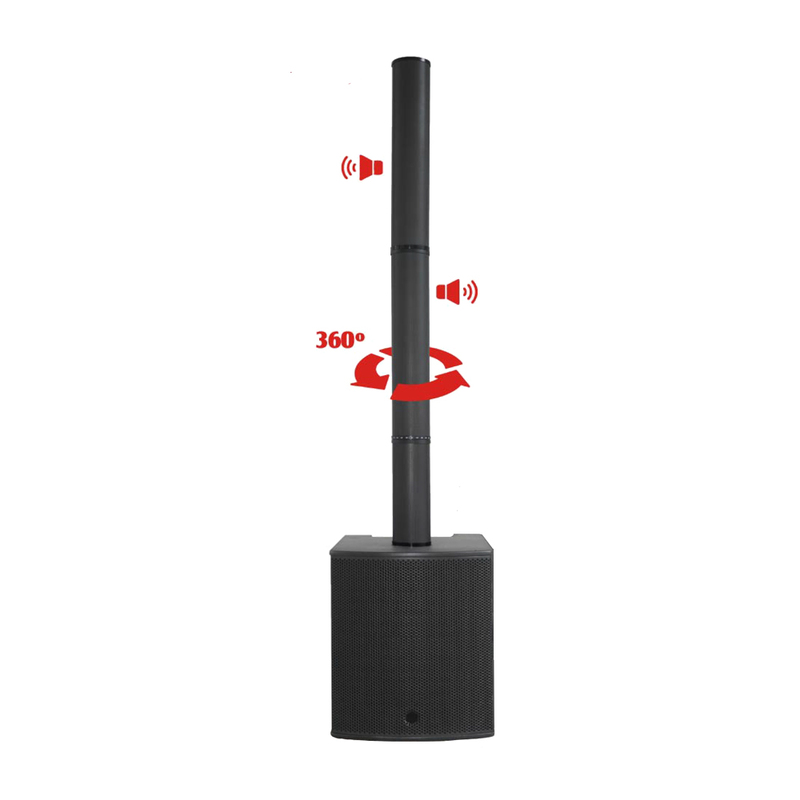 The rotation system of the speakers is patented to assure the robustness of the mechanical parts and the quality of electrical contacts. 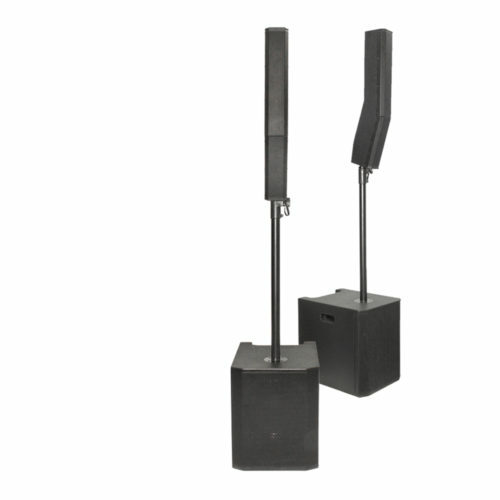 The subwoofer AXV-62SA is equipped with two Class-D 1000W amplifiers driven the 15” transducer and both satellites. 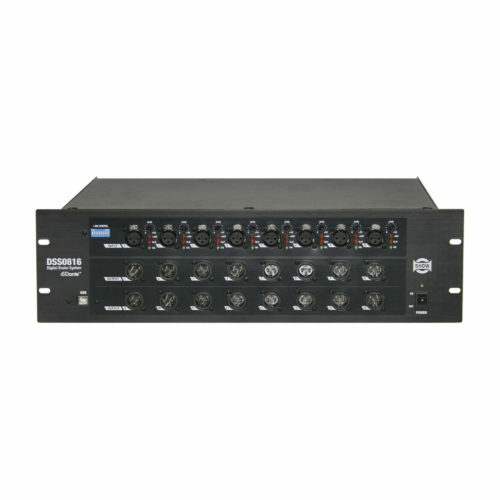 All controls, inputs and outputs are accessible on the back panel of the subwoofer. 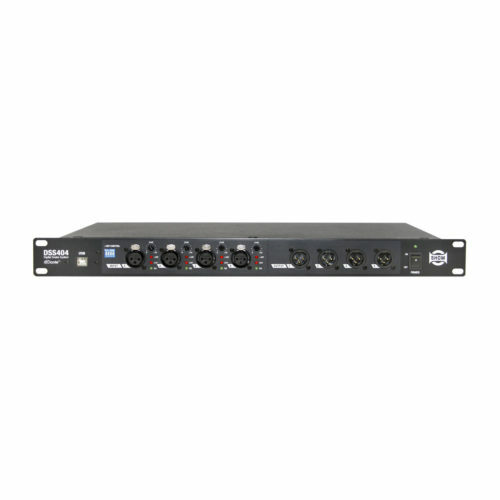 4 x Mic/Line inputs are available on Combo XLR/ ¼” jack plus a RCA connection for a stereo line. 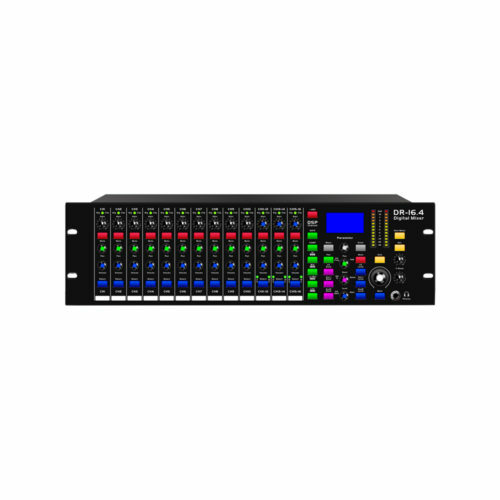 The system is equipped with a built in DSP featuring programs like LIVE / MUSIC / SPEECH / DJ. An OLED screen allows the editing of parameters, as well as the LAN connection to a PC. 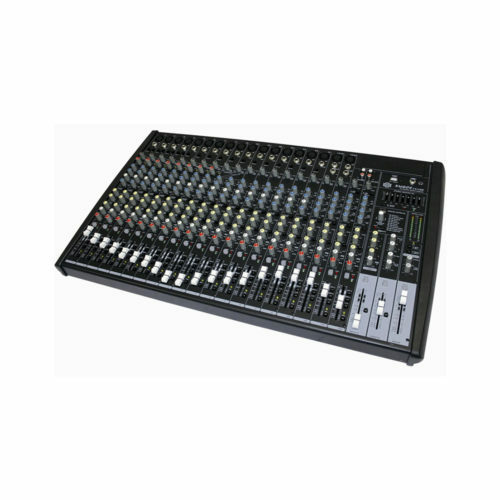 Optional MP-3 and Bluetooth modules are available for music sources. External Controls Volume Control / Switch for Input sensitivity / Switch for mode selection.